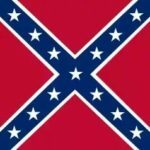 Did you know April is Confederate History month? We here at AMERiders recognize this month as we and our employees are based out two of the 6 states that recognize it. 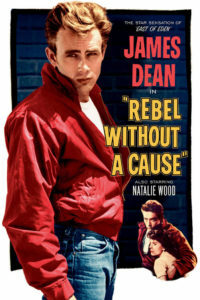 However, we are calling it National Rebel Month. 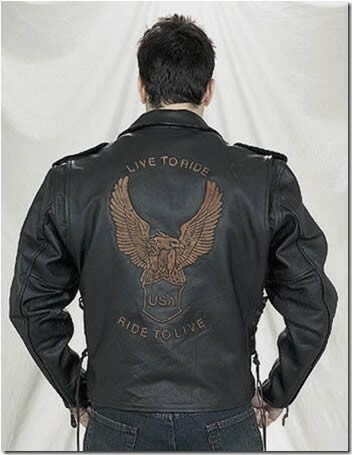 and we know that many bikers are rebels even if only at heart and we give our rebels a hardy Hell-yeah. About The holiday and month. Confederate History Month is a month designated by six state governments in the Southern United States for the purpose of recognizing and honoring the history of the Confederate States of America. 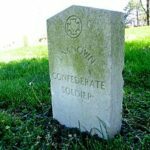 April has traditionally been chosen, as Confederate Memorial Day falls during that month in many of these states. 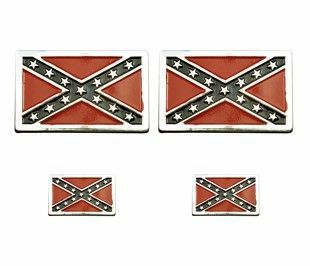 Although Confederate Memorial Day is a holiday in most Southern states, the tradition of having a Confederate History Month is not uniform. 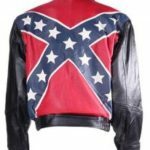 State governments that have regularly declared Confederate History Month are as follows: Alabama, Florida, Georgia, Louisiana, Mississippi, Texas, Virginia. 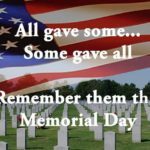 Confederate Memorial Day is a holiday observed in several Southern states since the end of the American Civil War to remember the estimated 258,000 Confederate soldiers and sailors who died fighting against the Union. 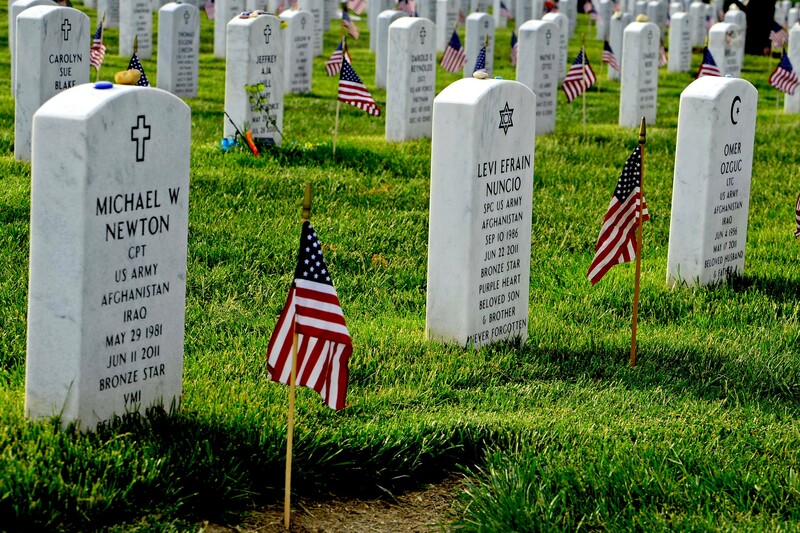 The holiday is observed widely, but unofficially, in most Southern states. 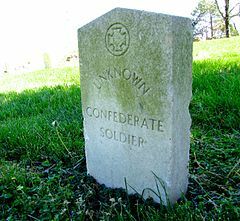 It is observed in late April in many states to recall the surrender of the last major Confederate field army at Bennett Place on April 26, 1865. 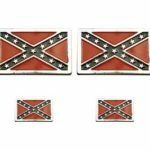 Confederate History Month and related celebrations have been controversial due to the contentious place of slavery in the history of the United States. When Virginia Governor Bob McDonnell issued a proclamation resurrecting Confederate History Month in 2010, controversy arose due to the proclamation’s omission of slavery. McDonnell later announced, “The proclamation issued by this Office designating April as Confederate History Month contained a major omission. 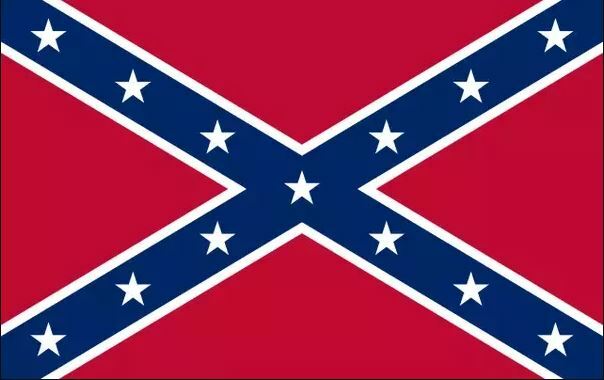 The failure to include any reference to slavery was a mistake, and for that, I apologize to any fellow Virginian who has been offended or disappointed. 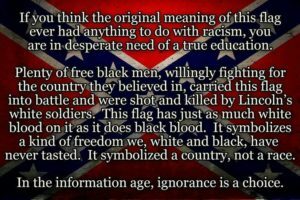 The abomination of slavery divided our nation, deprived people of their God-given inalienable rights, and led to the Civil War. Slavery was an evil, vicious and inhumane practice which degraded human beings to property, and it has left a stain on the soul of this state and nation.” McDonnell has indicated that he will not issue a proclamation in future years. In 2007, the Virginia General Assembly approved a formal statement of “profound regret” for the Commonwealth’s history of slavery. 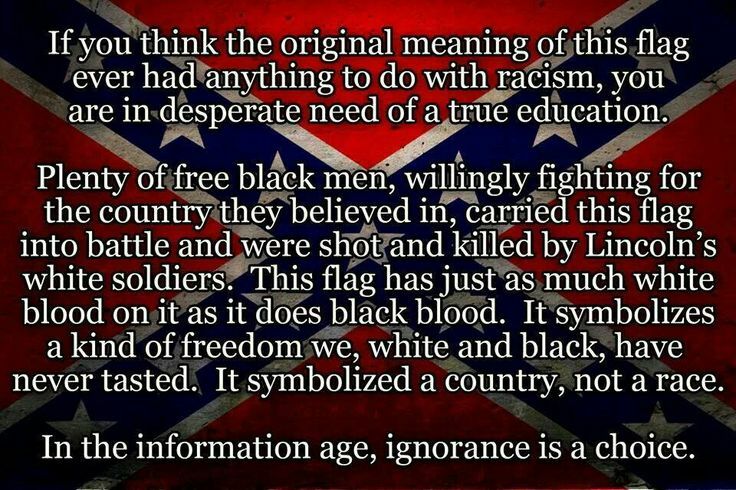 You will find that a lot of southerners, as well as bikers across the nation, will wear the flag proudly. 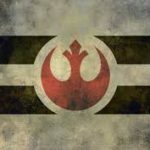 The reason behind them or any tough guy or girl wearing it is thus, It is the Flag of the “REBELS” those who rebelled against the US government. For Bikers, this is what it stands for. 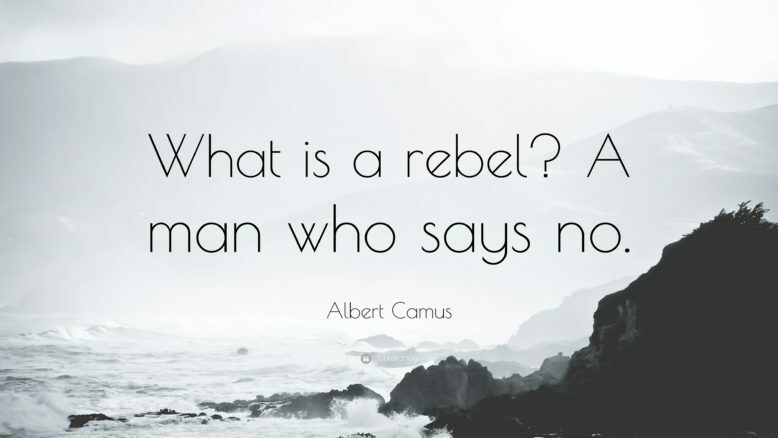 It means that they are rebels. It is as simple as that. Give us that rebel yell and show us your rebel pride! If you’re proud show your rebel pride with one of our many rebel items! 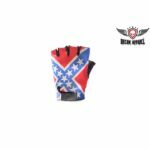 Like this Rebel Flag Logo For Saddle Bag Tool Bag Sissybar Bag is a Logo pin set that comes in a set of 4 and can be easily attached to saddlebags, tool bags, windshield bags, jackets, and vests using the 2 pin back. 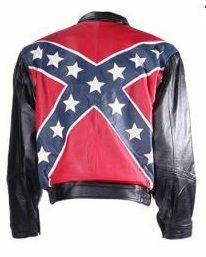 Or Give us your best rebel yell in our amazing Rebel Flag Jacket with Gathered Cuffs featuring the Confederate flag proudly emblazoned across the entire back panel. 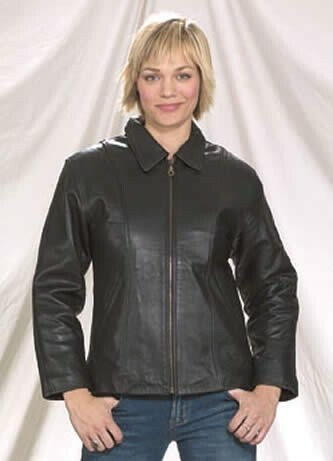 Made from top-grade genuine leather, other features include a zip-up front closure, a full zip-out lining that runs through the sleeves with a soft neck warmer sewn directly onto the lining, a classic style collar with hidden button-snaps, elastic gathering on the waist, and button-snap cuffs to guarantee your comfort. With two roomy button-snap pockets outside and two deep button-snap pockets inside you’ll be able to bring all the essentials for an afternoon ride or night out. Show off your Southern pride with our Shiny Black DOT Rebel Motorcycle Helmet that prominently displays a colorful rebel flag flying along each side on a shiny black finish. 1″ thick firm polystyrene foam guarantees your total comfort. Bright chrome rivets secure a black nylon Y-strap with metal slides to the fiberglass shell. So if you are a rebel at heart let us know with a hell-yeah or your best rebel yell. If not show us your favorite April is the month of below, or in the comments on our facebook page. Here are a few other things that we found that we are going to celebrate this month as well. April is International Guitar Month, recognized in several countries. International Pillow Fight Day arrives on April 2 in 2018. 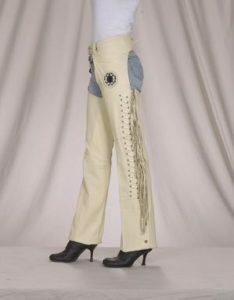 Let AMERiders keep you well dressed during National Rebel Month. AMERiders knows that Easter is just around the corner so make sure your lady looks stylish with some of our stylish jewelry and accessories for her. From jewelry to handbags and more.We have something to fit your ladies stylish needs. The best is what we have in our New Arrivals that just came in for her. Whether you have a real Easter basket because of the kids or just wanna make a cute one and set it on the table for a surprise check out these wonderful basket stuffers. Like this beautiful Violet Motorcycle Chain Bracelet with Gemstones. Shining chrome rollers with gemstones are held together by chrome outer plates and violet inner plates with chrome metallic pins. 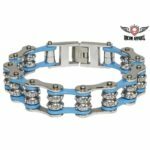 A strong chrome jewelry clasp snaps securely to any wrist sized 7¾” – 9¾” and makes a fantastic look for anyone that rides. Or our beautifully decorated Pink Motorcycle Chain Bracelet with Gemstones for years to come. The stones wrap around brilliant chrome rollers held together by chrome outer plates and pink inner plates with shiny metallic pins. 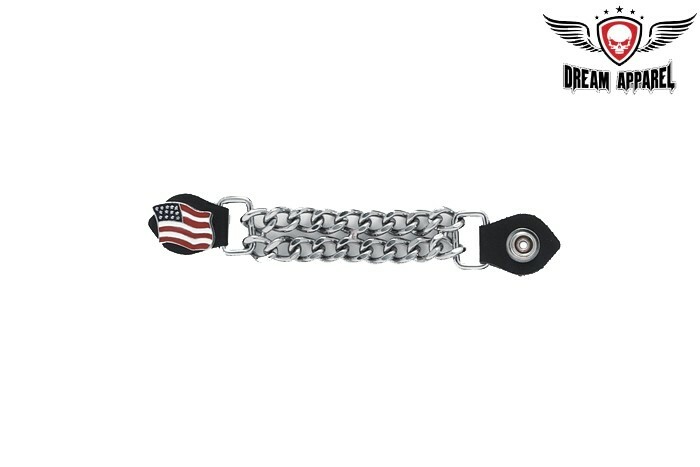 An equally bright chrome jewelry clasp snaps securely to wrists sized 7¾” – 9¾” and makes an incredible addition to your riding attire. 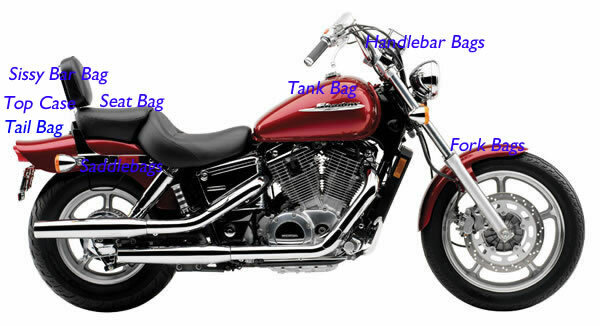 All ladies love their purses and we love being able to have certain items with us when we ride. We know our men hate having to carry some things for us and our vests and jackets get heavy if we have to have those items in there. Let’s face it the saddlebags don’t always want to fit our purses. So why not make sure your Lady Looks Stylish with one of our biker shoulder bags we have them in many stylish selections. Our Women’s Leather Shoulder Bag with Buffalo Nickel is the perfect choice for any woman on the go. 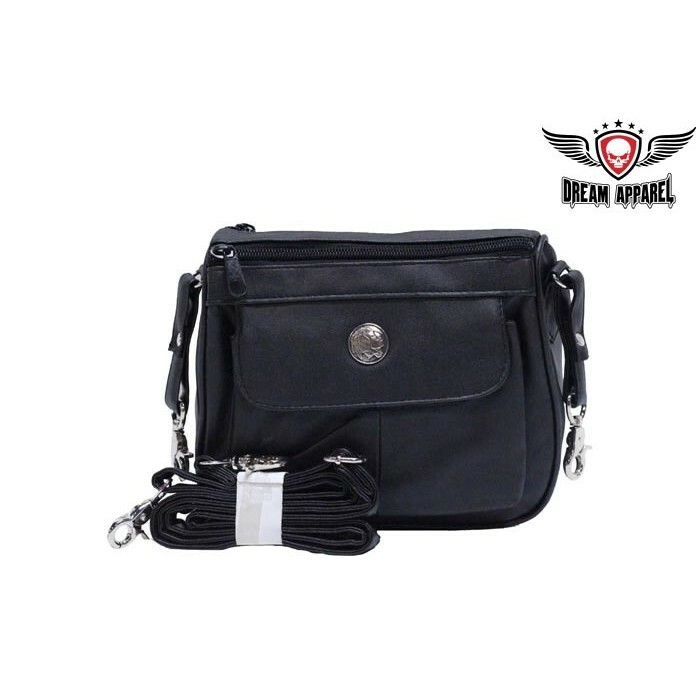 It is made from genuine black leather with delightful pleating on front and back & a zippered compartment that opens to a large, soft black textile lined compartment. The zippered pocket on the back is great for carrying your smaller items and with a third pocket on the front with a Buffalo nickel and a powerful magnetic closure on the front flap you can really load this bag up. 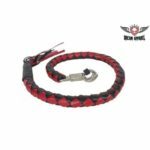 It can be worn either on the waist via two sturdy lobster clasps that attach to your belt loops or slung easily over your shoulder by the genuine leather strap. These wonderful leather shoulder bags are priced to move so order yours today. If one of our biker bags isn’t her thing how about this Brown Premier Leather Thigh Bag with Gun Pocket is the extra pocket solution when you don’t want to wear chaps while riding. 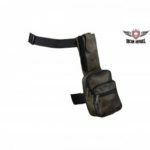 It features multi-compartment pockets that include a gun pocket. The thigh bag easily attaches to the belt and straps onto the thigh. Guys, we know that you want to ensure that your Lady Looks Stylish so we hope that maybe this has helped you a bit with some ideas. AMERiders knows Easter Is Around the Corner we want to help you Ensure Your Lady Looks Stylish. 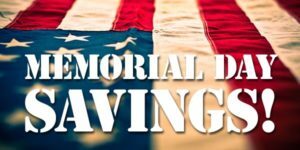 AMERider’s knows that Father’s Day Is Approaching, So why not Give Dad Quality Motorcycle Gear This Year we know he will appreciate the love it shows. We also know that shopping for any dad can be difficult, even more so if your father is a die-hard rider his largest hobby is motorcycles. What’s more, is you really can’t afford you get him a new motorcycle. Fear not! 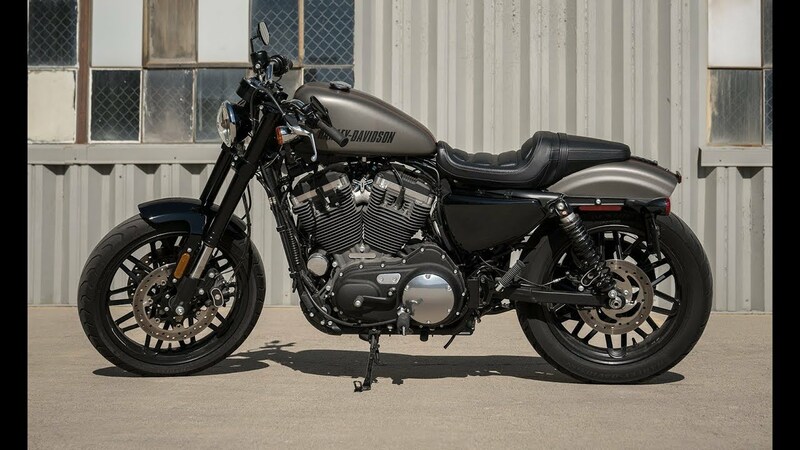 We’ve created a few practical and affordable gift ideas for your biker enthusiast dad. This Father’s Day, show him some love and appreciation by giving him something he’ll use, without killing your allowance. Help Dad keep in contact with you while you are riding together! 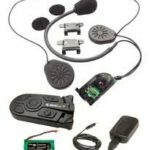 Help dad Focus on the road and keep distractions minimal with our hands-free motorcycle communications devices. 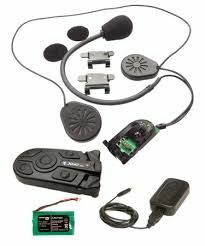 We feature safe and reliable communication options for bikers including Sena Bluetooth Headsets, motorcycle helmet intercoms, and more to help bikers stay in touch without compromising their safety. You can also find the Chatterbox XBI2H Plus that allows communications to up to 16 riders as well as Bluetooth pairing capabilities with cell phones, GPS systems, and mp3 players. The Chatterbox Moderate range models are ideal for riders in small to medium size groups of up to 16 people. They feature CDMA technology for communication, which allows them to be much smaller in size. This technology allows full duplex (conference call type) conversations between a max of 16 riders (bike to bikes or rider to passenger) at up to 1/2 mile.The XBi2-H Plus features Bluetooth which allows you to pair with up to two accessory devices (cell phone, GPS, mp3/iPod) at the same time. Each model can also sync to one another for communication. The XBi2-H Plus is designed specifically for the HJC brand line of Bluetooth ready helmets. The XBi2-H Plus uses a Lithium Ion rechargeable battery capable of 8-10 hours of talk time with 20 hours standby. This is one piece of Quality Motorcycle Gear that dad will love. 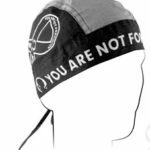 Give dad some cool head-wear for Father’s Day! 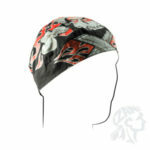 Our Flaming Crossbones Doo Rag Flydanna is a perfect accessory to keep your Doo intact. It sports a sweet skull and crossbones design in red, white, gray and black. 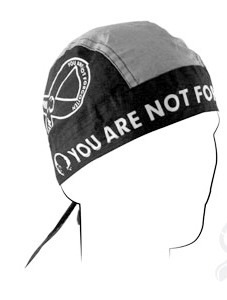 It is a bandanna, cut into 6 panels and sewn into a head wrap, with a tail and ties at the nape of the neck. Set off on your next ride with dad with Quality Motorcycle Gear that offers him both protection and style. AMERiders carries premium motorcycle apparel for men, women, and kids to help protect from nasty spills and the outside elements. 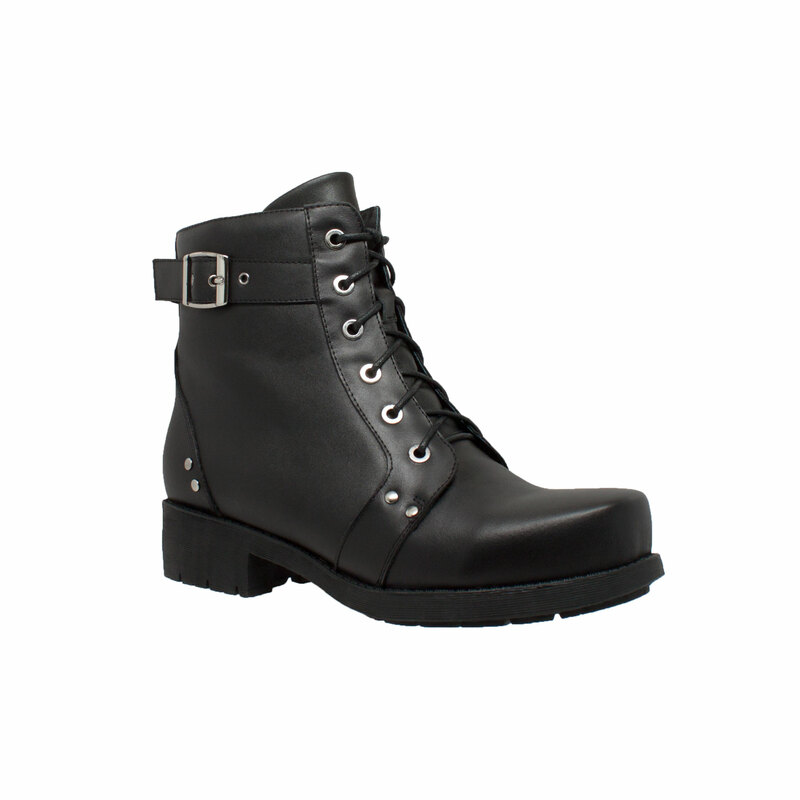 Our selection of motorcycle boots and biker jackets are essential for any rider to complete that classic biker look. 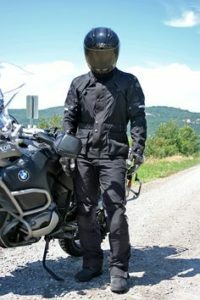 We also carry rain suits to repel water and keep him dry, plus genuine leather motorcycle chaps to protect his legs from the hazards of the road. 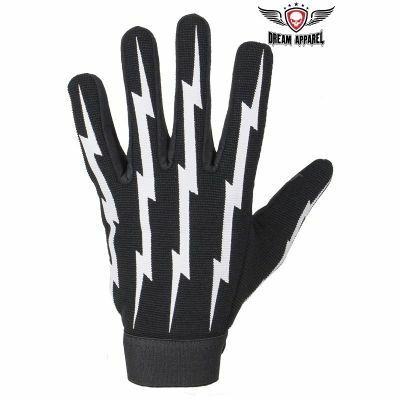 Don’t forget about our selection of top-rated biker gloves for every type of rider. 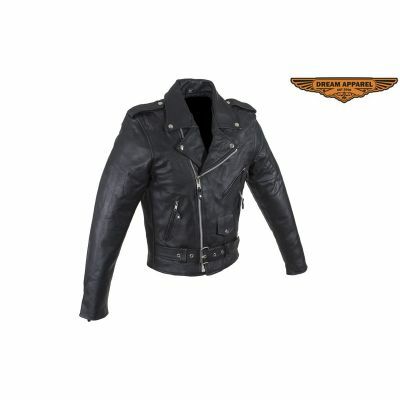 A biker’s jacket is important, whether it is to hold patches or for protection or both it is an important part of their gear and we at AMERiders are all about gear! Our large selection of Men’s Motorcycle Jackets come in all styles and sizes, and fabrics. Regardless of whether you’re looking for a Leather Cruiser or a Bomber Jackets we have a jacket to fit Dad’s taste and style. We even have jackets that come ready to wear with the Live To Ride® brand embroidered cloth patch already sewn in place. We think Dad might like this cool Men’s Racer Jacket With Velcro and flames features z/o lining that runs through the sleeves, reflector on front and back, multi pockets outside, and pocket inside. 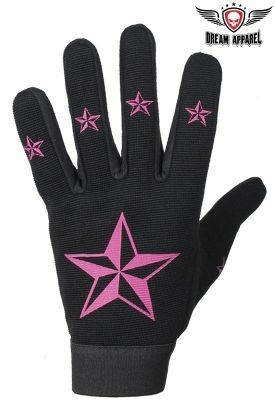 The zippered and Velcro cuffs will keep your hands warm during the ride. Plus, if that isn’t enough for you there is a cool flame design on the back and running up the sleeves as well. No one likes to get caught in the rain, especially a biker Dad. Getting caught in the rain on a bike it hurts, Dad will tell you. Raindrops feel like little needles or pebbles hitting you in the face. We at AMERiders don’t like having to ride in the rain either but when we do we use premium Motorcycle Rain Gear to help keep us dry and comfortable. We carry many styles and colors of Water Resistant Motorcycle Rain Gear from suits to boot covers as well. Each made of a durable material water resistant material, that will last for many rides to come. So regardless of whether it is a small shower or a torrential downpour, or even just something to keep Dad’s boots from getting muddy we have him covered. Try this to keep dad warm 1 Piece Rain Suit With Travel Pouch is a high-quality piece of rain gear for any biker. From the second Dad opens the box, he will see that this is the top quality Rain Suit that you’ve wasted time searching for. It Features stylish Gatherings at the waist as well as being adjustable, a Velcro covering helps to protect the zipper from the elements. Other features also include a zip out lining, pocket on the leg and to keep you safe when riding there are reflectors on the front and back. One thing we also like about this is that it has a bright Orange stripes over it to help Dad be seen better. 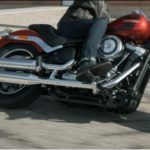 We hope that these items have helped you find something for your Biker dad, we have many more pieces of Quality Motorcycle Gear to chose from like helmets, luggage items, toolbags, and much more that dad can use for his bike when riding. Head on over to AMERiders and find something great dad will love. 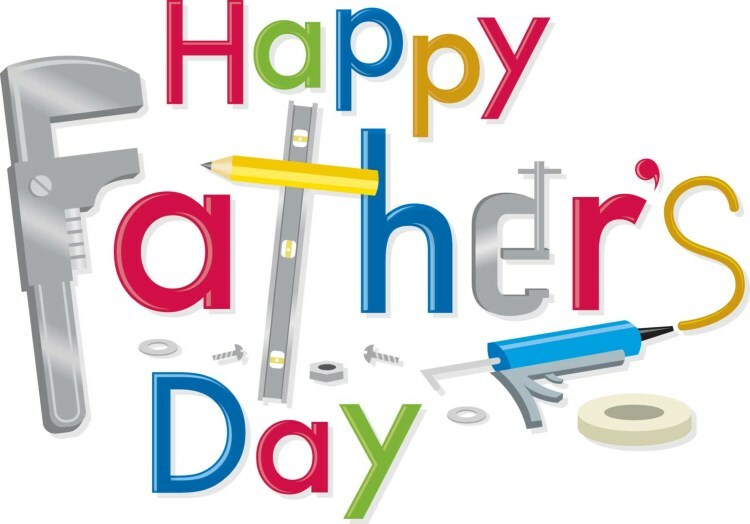 Father’s Day Is Approaching, Let AMERiders help you Give Dad Quality Motorcycle Gear This Year. 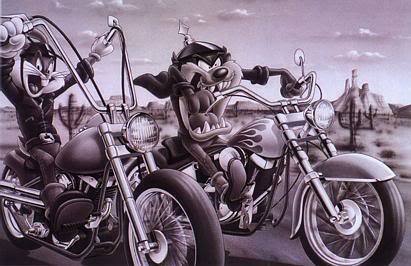 Since You Geared up Bear in Mind for Your Epic Ride That Sweet Motorcycle of Yours Needs to Be Geared up as Well. 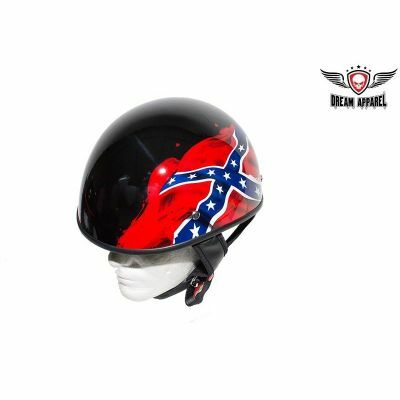 AMERiders wants to remind you that Since You Geared up to Bear in Mind for Your Epic Ride That Sweet Motorcycle of Yours Needs to Be Geared up as Well. After you gear up it is important for that Epic ride this summer to ensure that you have some gear on your ride that will help carry what you need. 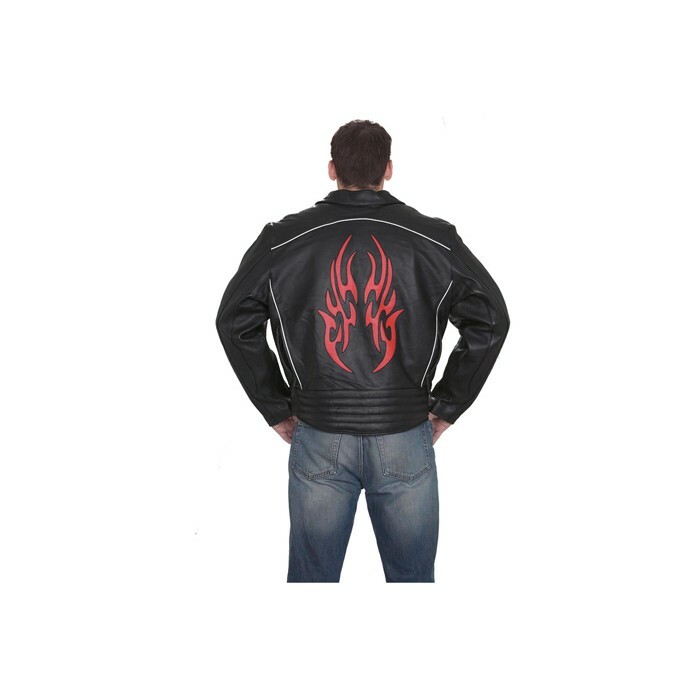 We have a variety of motorcycle luggage, and other accessories to add some style to your bike. Our sissy bar bags, windshield bags, swing arm bags, and saddlebags are excellent additions to any bike to increase carrying capacity. 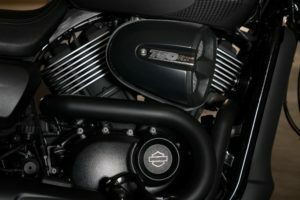 We also have other essential accessories for a truly customized ride such as Guardian bells, cup holders, mirrors, flags, tank covers, and much more. Below we want to give you a few suggestions of what we have to offer. Long hauls can be difficult to pack for which is why we carry a variety of different styles and sizes of luggage from windshield bag, sissy bar bag, tool bag, saddlebags, and more. We sell these separately and of course in sets like this 6pc Heavy-Duty Waterproof Motorcycle Bag Set, this gorgeous PVC heavy duty studded saddle bags by Diamond Plate are just what the doctor ordered for you. 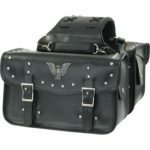 It also features a windshield bag, sissy bar bag, tool bag, barrel bag, and a pair of 14-1/2″ x 12-1/2″ x 7-5/8″ saddlebags. They are a universal fit for most bikes and have not only chrome studs but quick release buckles as well. Just imagine that set on your sweet bike, I can and I bet it would look amazing. Have all of your essential gear and accessories within reach in a premium quality motorcycle saddlebag. At AMERiders we have a large selection of top-rated leather and PVC saddlebags for a variety of motorcycles. 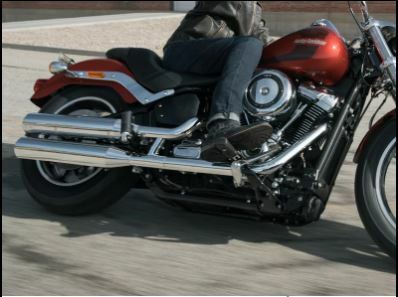 Our saddlebags feature the highest quality construction to withstand the rigors of the road. 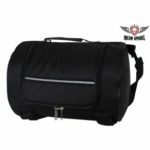 With secure enclosures, metal studded designs, and ample storage space, our saddlebags are the perfect motorcycle bag for bikers who need a little extra storage room. Deck out your Sweet Motorcycle in this set of PVC Motorcycle Saddlebag UV Protected features a zip-off bag with Heavy Duty Velcro Cover and Lock, is universally fitting to most bikes, Includes a hard sheet inside the box with 4 pockets, a Heavy Duty Quick Release , is 100% Waterproof , is UV protected and it will not turn white in extreme heat and will Hold its Shape, 4 Tie down ribbons on each side for extra security. Please note that this is Not a cooler bag, and Not intended to be used with water & ice. Long rides can become uncomfortable for not only the rider but the passenger as well when you want comfort AMERIders has a selection of Grips and Cushions for your Motorcycle that are not only comfortable but stylish as well. 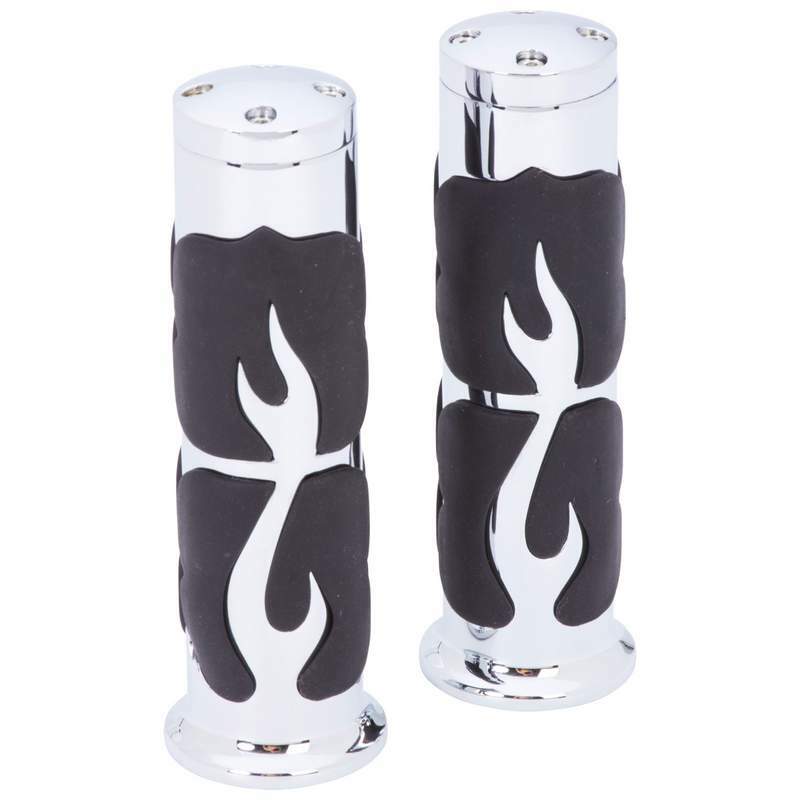 Our Motorcycle Grips are made from genuine leather and will attach to brake and clutch. 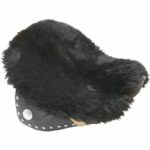 To keep your seat comfortable we have many Motorcycle Seat Cushions or pads that will ensure that your ride and your passenger’s ride is much more comfortable on your Sweet Motorcycle. Check out this Genuine Sheepskin Motorcycle Seat Cushion, and have some more comfort in your ride.It features a untrimmed sheepskin cushion with straps and buckles to help attach it to the existing motorcycle seat. It fits most cruiser-style motorcycles. Seat not included. 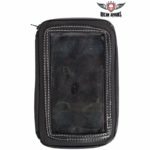 Losing your phone or not having it close at hand can be frustrating, to say the least, which is why AMERiders offers a wide range of Motorcycle Cell Phone Accessories to help keep your cell phone within easy reach. Our Cell Phone Holders, are adjustable, or magnetically mounted depending on your preference, and for those of you that get lost or prefer NOT to get lost, we have a few GPS Phone Holders as well to help keep you from getting lost. 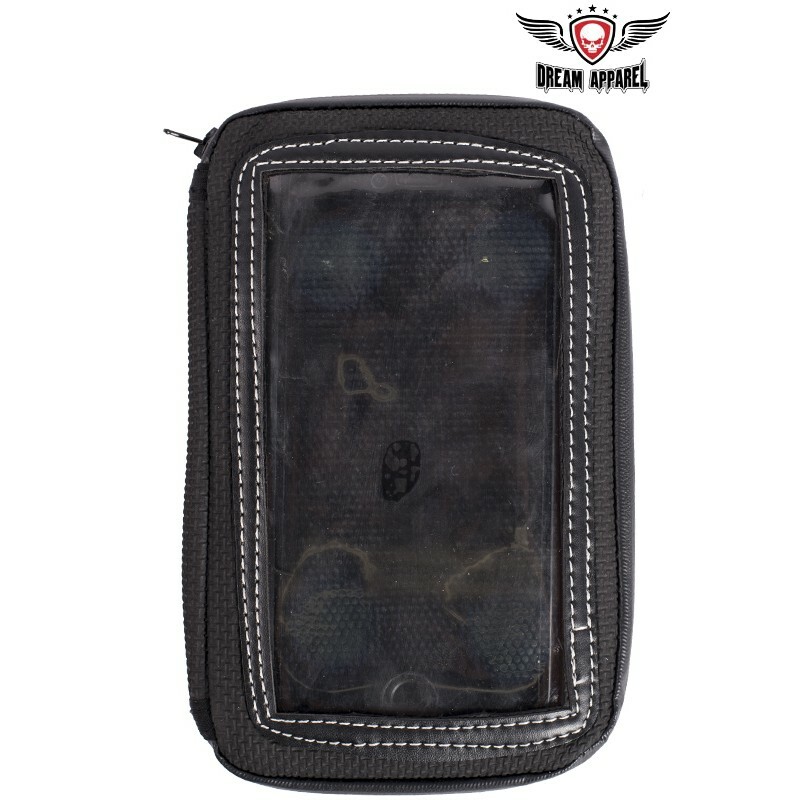 This handy Motorcycle Magnetic Cell Phone & GPS Holder Tank Bag is a beast of a Magnetic cell phone or GPS holder featuring a clear plastic window that allows interaction w/ device without removal of the device. It also has 4 strong magnets that stay in place on all metal gas tanks or another metal surface, and the Non-skid material on back that also keeps the device from overheating. Your Sweet Motorcycle needs some love to just like protecting yourself, protecting what you carry with you is also important and at AMERiders we want to ensure that your safety is number one as well as what you carry with you. 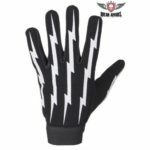 Let AMERiders help gear up your Sweet Motorcycle with our stylish selection of Motorcycle Accessories. 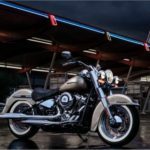 AMERiders brings you Fresh Looks for Long Hauls, Short Trips and everything in between, plus a Quick Look at the New 2017 Harley-Davidson Street Rod. Whether you have already started your riding season or are getting ready to you always want to look your best and have you and your bike prepared. We come bearing gifts of fresh looks that are the perfect blend of style and function whether you are taking a long haul or just a quick short trip you with your lady. Whether you want to keep the road gremlins away or add a distinctive touch to your ride a guardian bell will do the trick. We know that Motorcycle bells are a time-honored tradition for bikers everywhere.The sound of the guardian bells are supposed to deter bad luck and misfortune from sabotaging your trip and keep you safe from road hazards, mechanical failure, and spills. 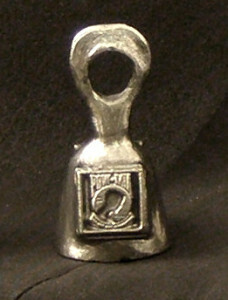 Our bells are hand-sculpted from 100% lead-free pewter. 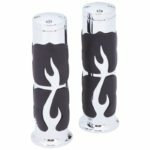 Plus our selection of guardian bells come in a variety of designs ranging from patriotic symbols of the armed forces to animals such as dragons, butterflies, and many more. Tip: According to tradition, A bells magical properties work best when given as a gift. 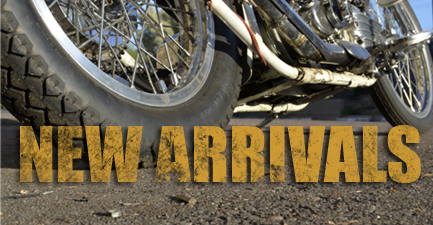 Set off on your next ride with quality biker apparel that offers both protection and style. AMERiders carries premium motorcycle apparel in Fresh looks for men and women and children to help protect from nasty spills and the outside elements. Our selection of motorcycle boots and biker jackets are essential for any rider and give that perfect blend of style and function. From rain suits to repel water and keep you dry to genuine leather motorcycle chaps to protect your legs from the hazards of the road, and everything in between. Satisfy your craving for classic style, but also satisfy your need to change lanes from a leather jacket to a denim vest during the spring with our Denim line such as our classic Men’s Black Denim Vest With Side Laces featuring an amazing quality from the slick black color to its outstanding material. With an interior that is lined for comfort to the side straps to adjust yourself, you’ll fit in with ease. All it takes is 4 snaps and you close the vest. When you open it up, you will find a gun pocket to hold your toy including a nozzle strap to keep everything in place. Including that pocket, we have set multiple pockets inside and on the front panel of the vest. AMERiders wants to make people feel fully like themselves and as comfortable as they can be. Ladies, we know you like to look great when riding whether it be with your man or on your own iron horse. So tell your story while looking great! From pins to patches, Our women’s denim and leather vests are a must for your next rally or bike ride. Our design and stitching is purposely minimal to keep all the focus on your collection of pins and patches, and of course you. 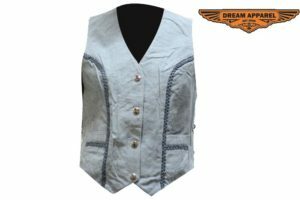 Like our Women’s Leather Vest With Laces On The Side will help you feel free as the wind when riding with this denim look vest. This classic style vest is highlighted by decorative ornamental braiding. 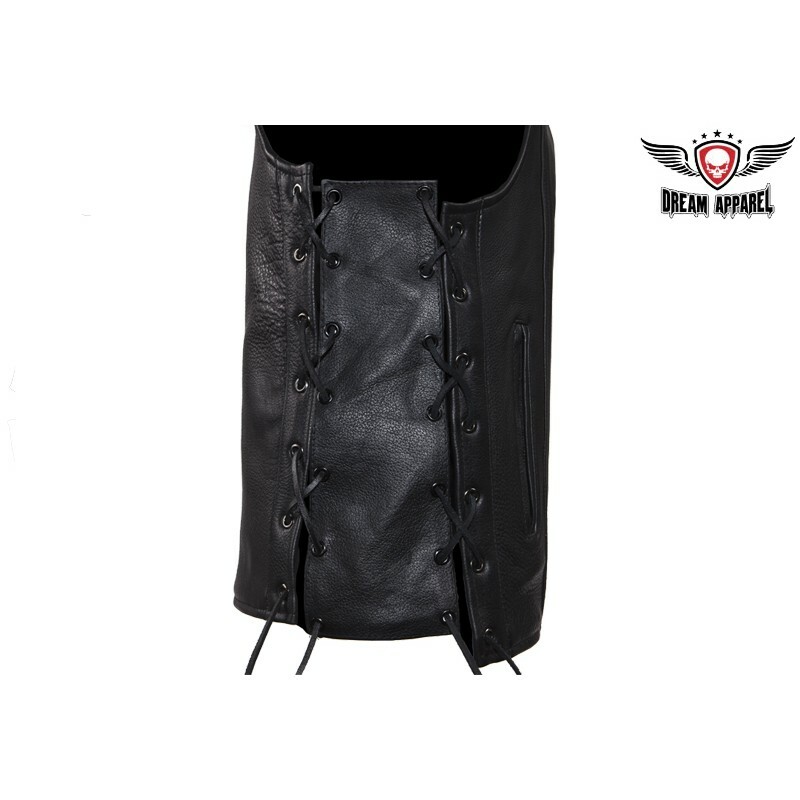 Features Multiple pockets inside and out providing plenty of room for the lady biker on the go. 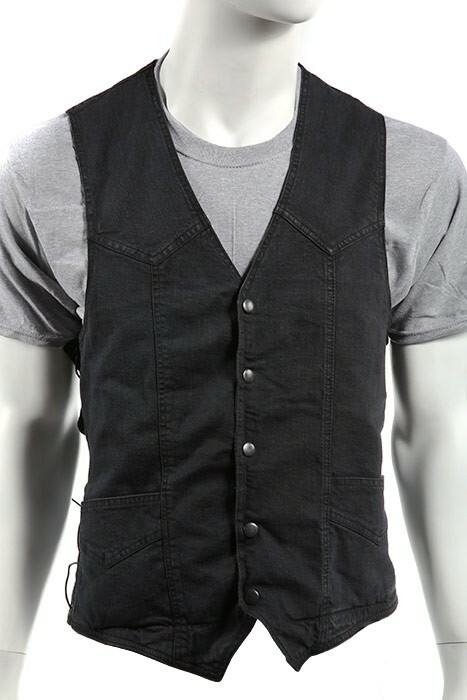 The smooth nylon lining, four button snaps, and side laces make this vest very comfortable. 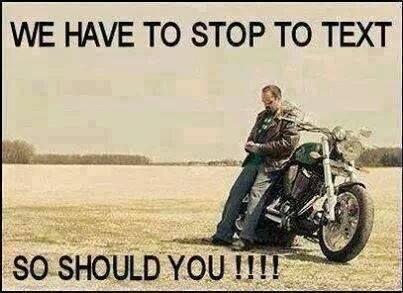 All bikers know the pain of a shrinking vest, regardless of whether it is denim or leather. No, we don’t mean shrinking from washing, it is the shrinking from the growing mid-section or the adding of layers underneath the vest during cold weather months. 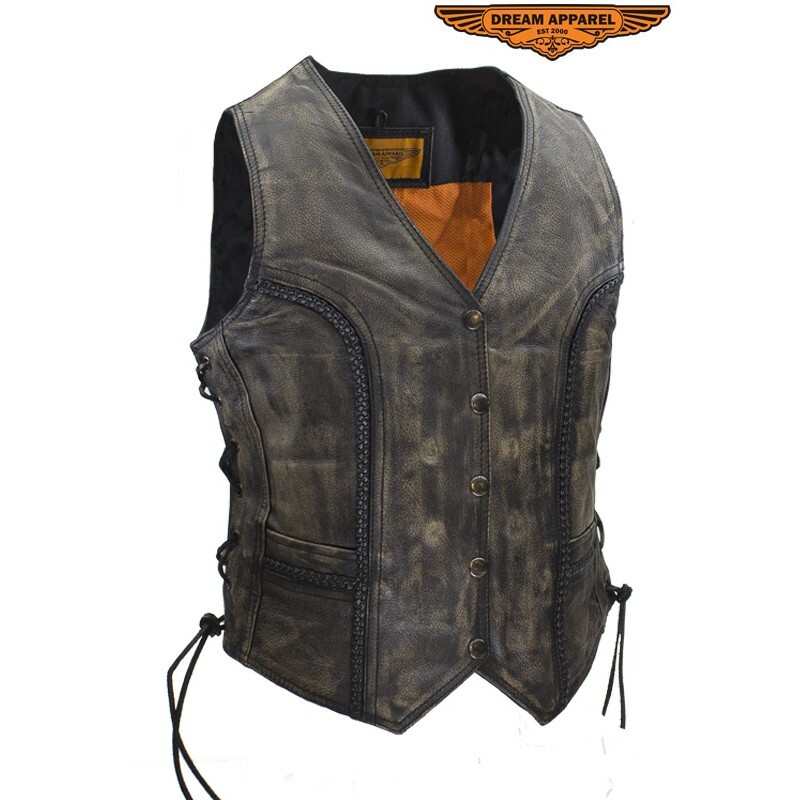 However, instead of buying another vest most bikers use Vest Extenders to extend out the size of the vest. 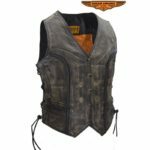 At AMERiders we have a large selection of Vest Extenders in Leather Or Chain, to choose from that will fit any bikers unique style. and enjoy the comfort. 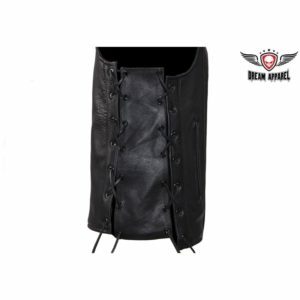 Very popular among riders that don’t want to give up their vest or just need to wear it over a Hoodie, increase the size of your vest with our top quality, genuine leather extensions. Our USA Flag Vest Extender is a great way to help extend the size of your vest while also showing your patriotism for the USA and a bit of pizzazz to your vest. This extender is a leather with the USA Flag design on it. Attach it to your vest with snaps. 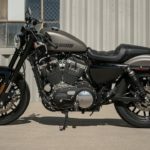 Speaking of Fresh looks Harley-Davidson has a new Street Rod out that has the top of Fresh looks out grab it and some new street duds with us and be hot this spring. If you’re going to hit it, hit it hard. 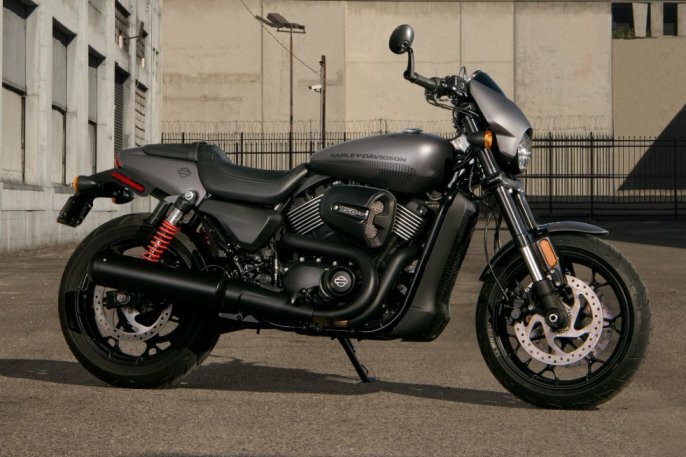 The all-new Street Rod™ is built to take you to the edge. It’s got a new High Output Revolution X™ engine that red lines your adrenaline level at 9000 rpm. Drag style bars with bar-end mirrors, new 43 mm inverted front forks and piggyback reservoir rear shocks let you shred traffic like you’re starring in your getaway scene. 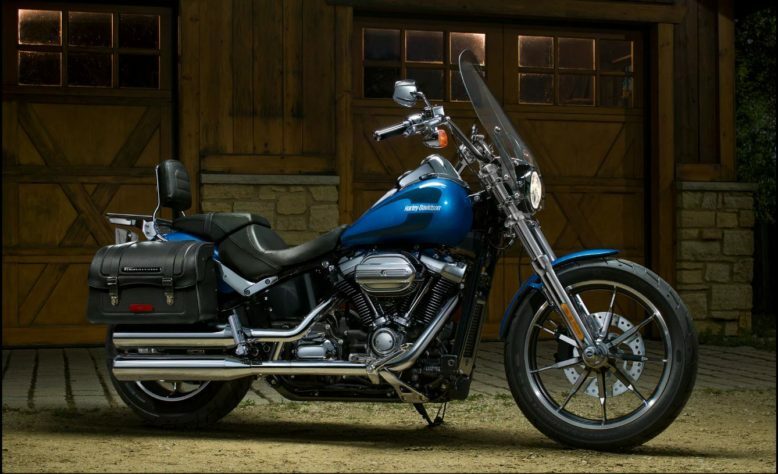 One twist of the throttle and you’ll never look back. Urban Mobility with s new engine. We were all warned as kids about playing in the street. If you’re the sort who never listened to a word of it, we’ve got your motorcycle. The street is where the action is. 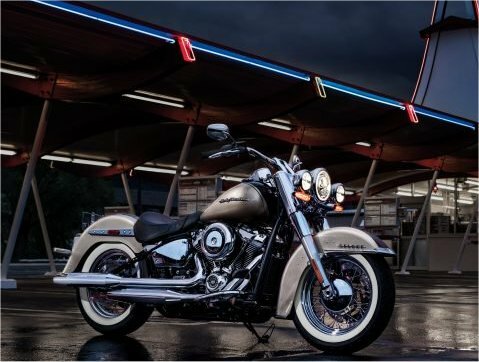 The Harley-Davidson Street® series is a line of bikes built with one purpose in mind: to make the most of it. Every inch of the motorcycle has been thought through to meet the demands of navigating the urban landscape. 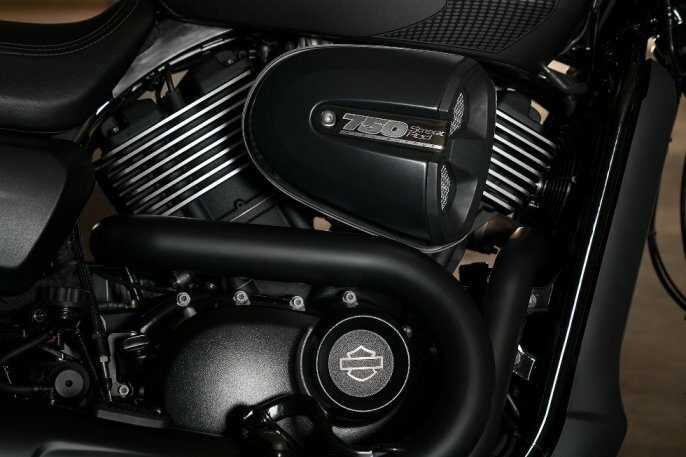 The Street Rod™ features a new High-Output Revolution X™ engine that will rocket you from stoplight to red line at 9000 rpm. New 43 mm inverted front forks and piggyback reservoir rear shocks let you carve through clogged streets with ease. You get a pure, stripped down, aggressive look. Settle into the scooped, racing-style seat and you’ll never blend in with the crowd. 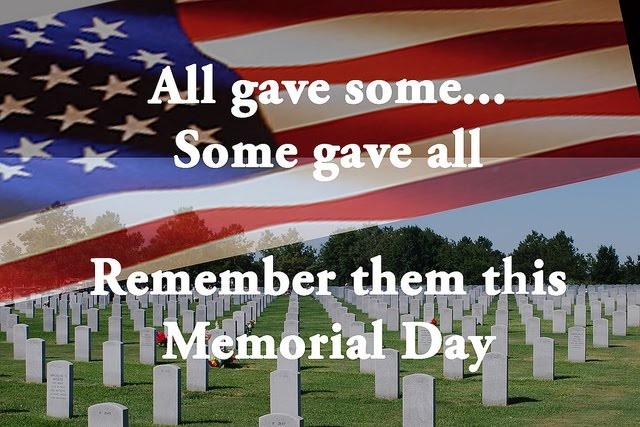 We want to say personally that we thank you for making us what we are, sticking with us each week. Without you we aren’t who we are. Please ensure you ride with safety as we want all our brothers and sisters to come home safe and sound….. And for those of you that drive vehicles and not motorcycles…..
Let AMERiders bring you Fresh Looks, for Long Hauls, Short Trips and everything in between this Spring. 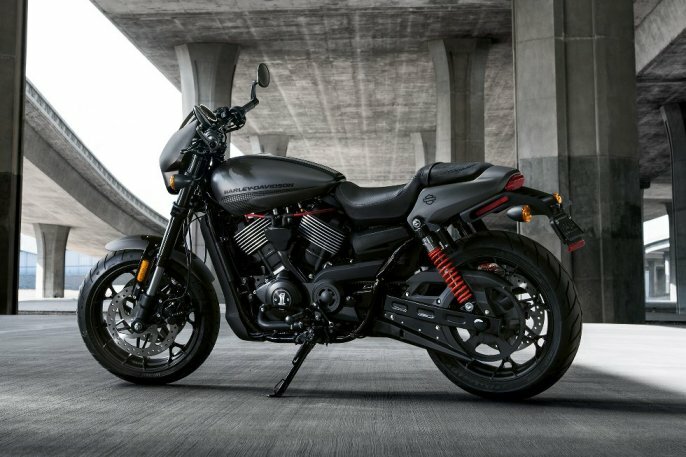 Note: Information and pictures on the Harley-Davidson Street Rod taken from http://www.harley-davidson.com for accuracy.